There's a lot of pumpkin carving going on this week, so I thought I'd hurry and get this one out there! 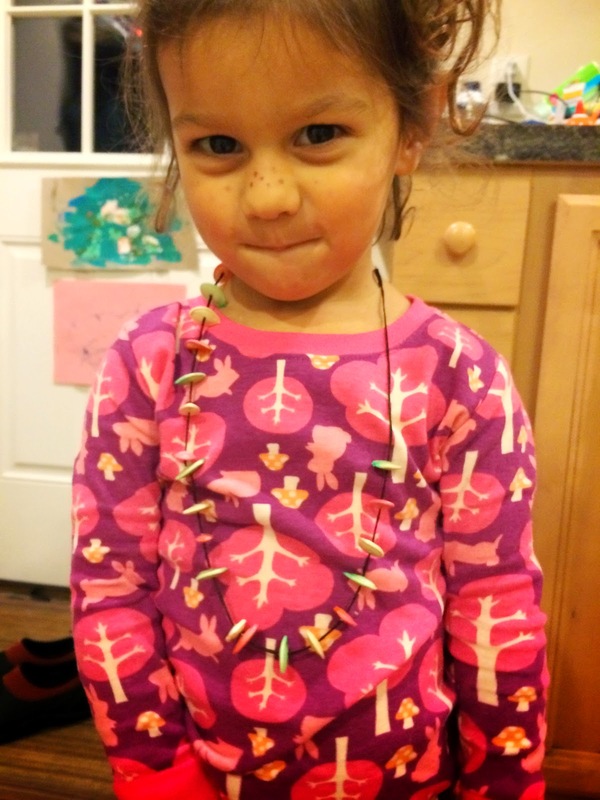 Have you ever turned your pumpkin seeds into jewelry? 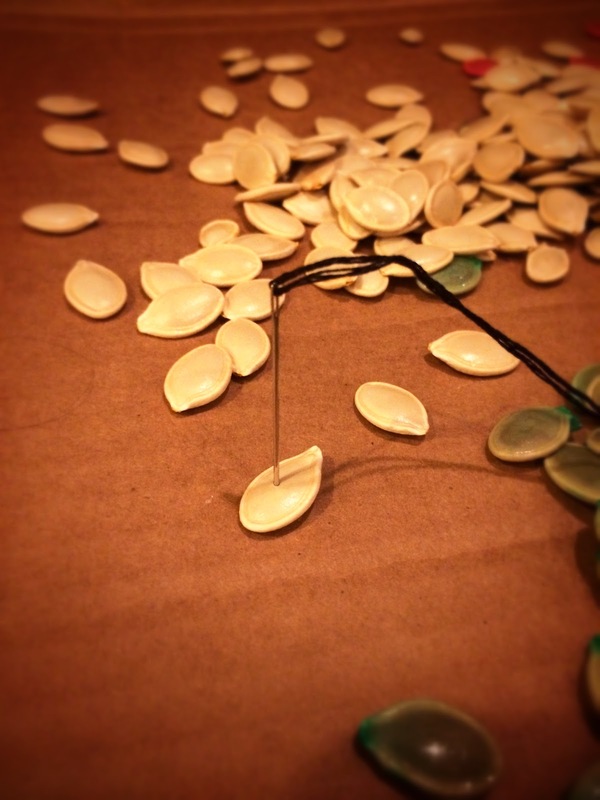 The key to stringing pumpkin seeds with ease is to make sure that they're fresh...no baked or thoroughly dried pumpkin seeds here! 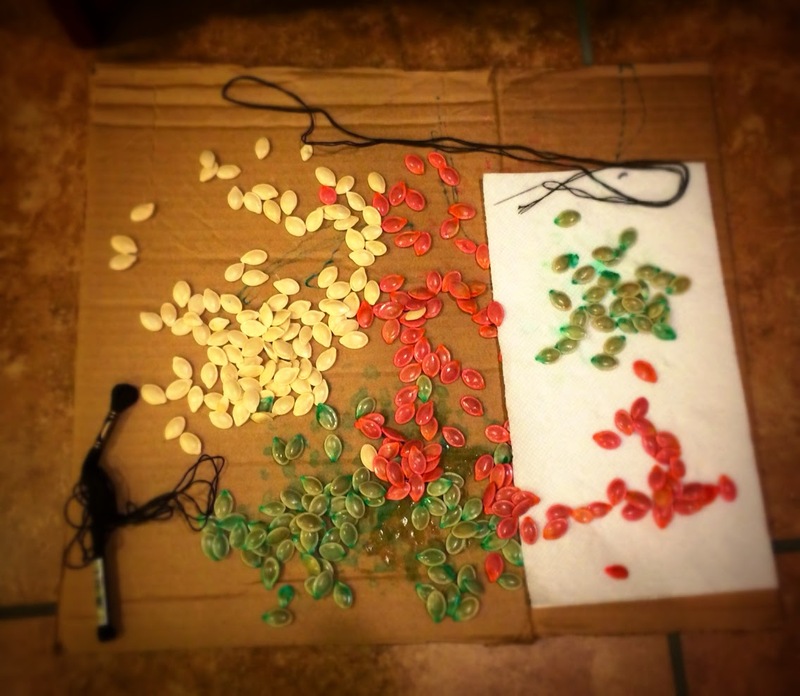 This year we tried dying some seeds before stringing them too. 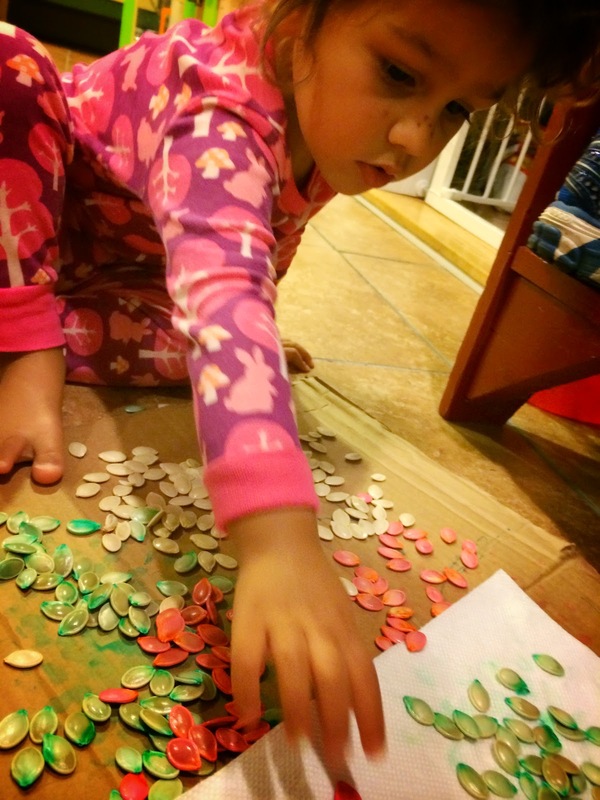 This craft is super easy and so much fun! 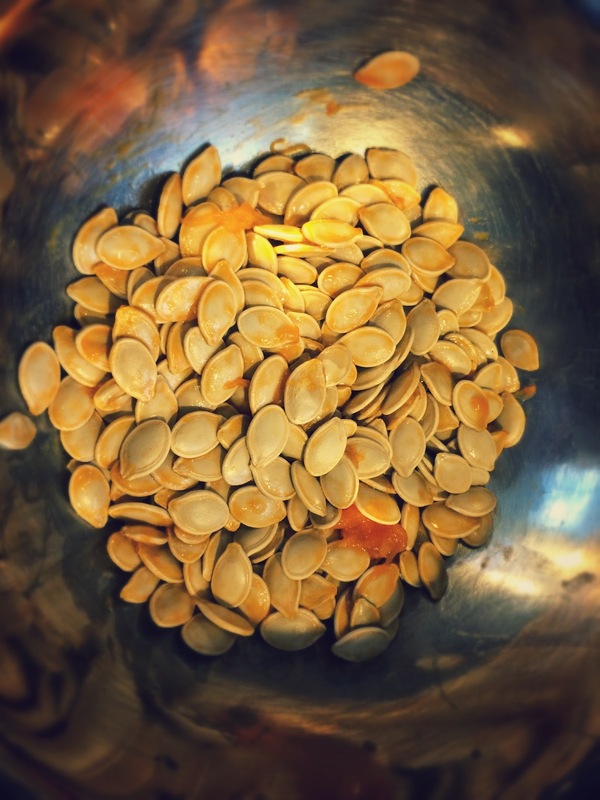 As you carve your jack-o-lanterns, separate the pumpkin seeds from the pulp. 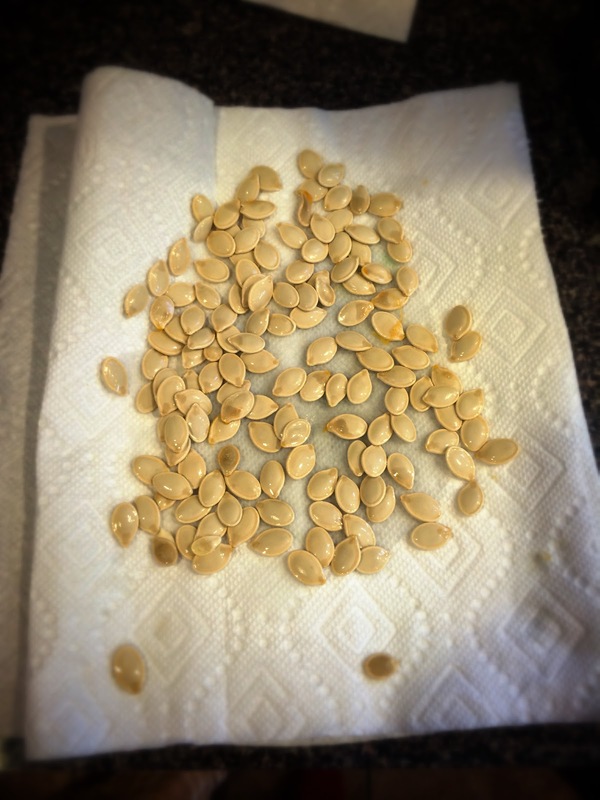 Rinse the seeds in some water to get any excess pumpkin guts off. If you'd like some colored seeds, boil a cup of water. 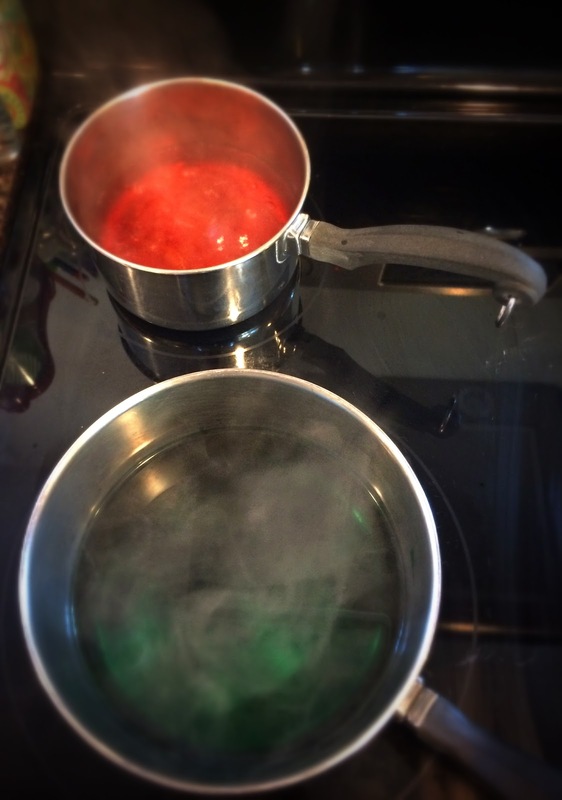 Add 1-2 tsp of vinegar and lots of food coloring. (I basically followed the directions for dying eggs on the food coloring box, adjusting it a little bit.) Let the water mixture boil for 5 minutes. Turn the stove off and add your pumpkin seeds. 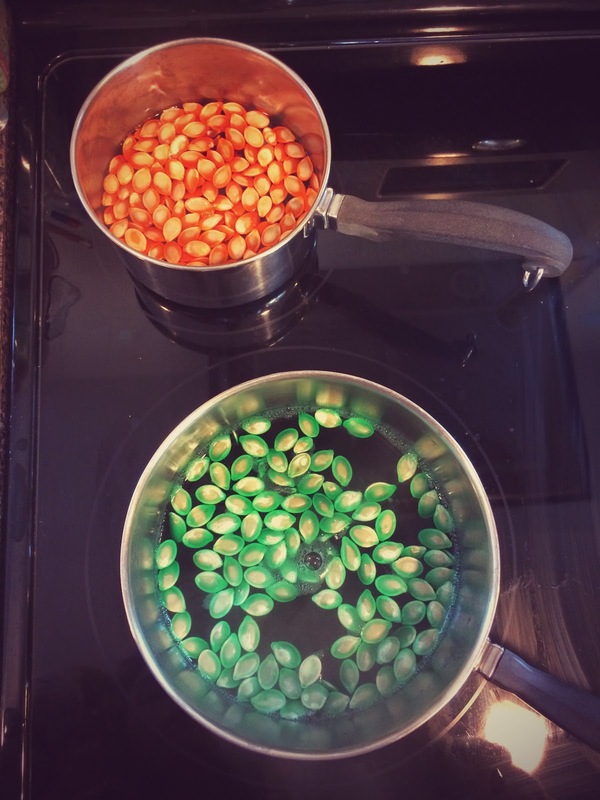 Let them sit for 15-20 minutes, stirring the seeds a couple times, until you achieve the color you like. 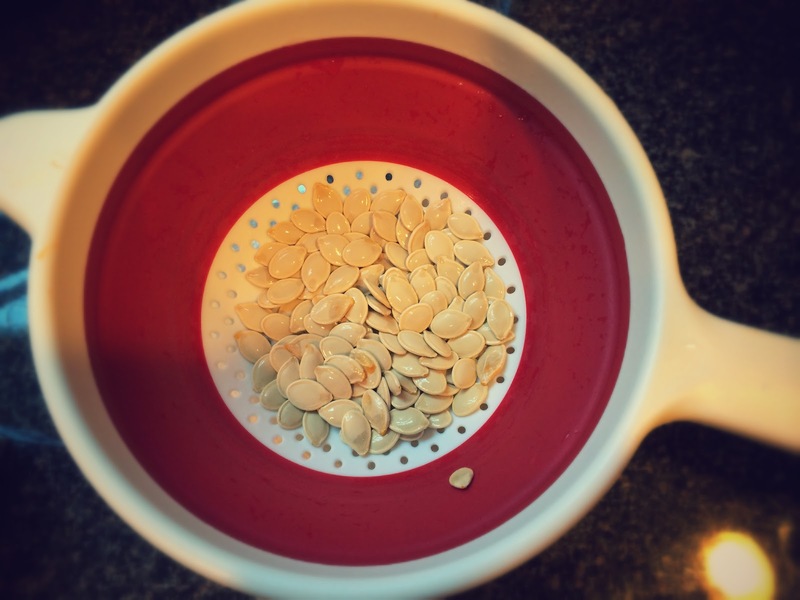 Pour your seeds into a colander to drain them and run some cold water over the seeds briefly. Spread the seeds out on some cardboard to dry a bit. 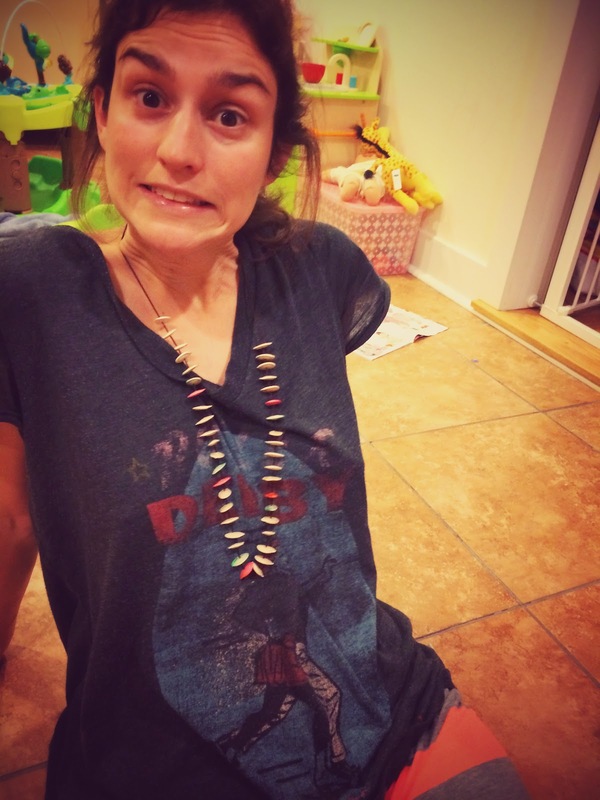 You can pat them dry with a paper towel too if needed. 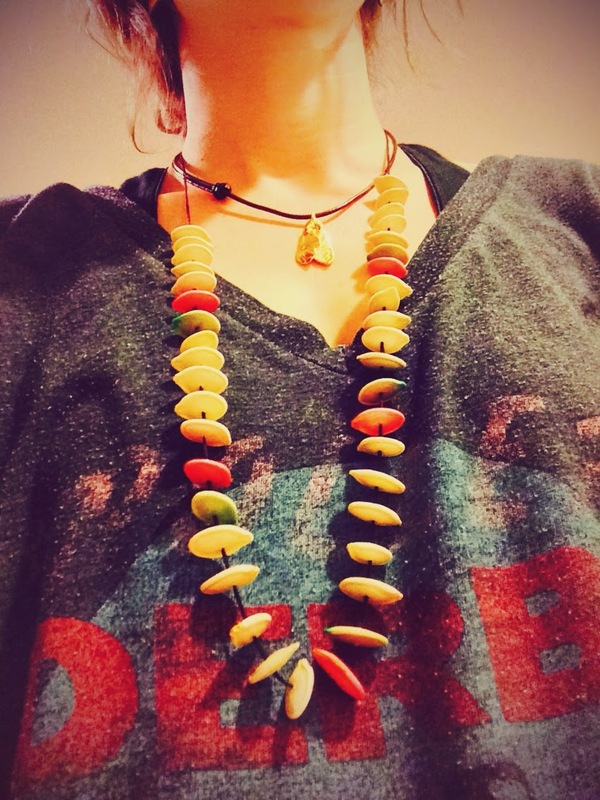 Now, time to make some necklaces! 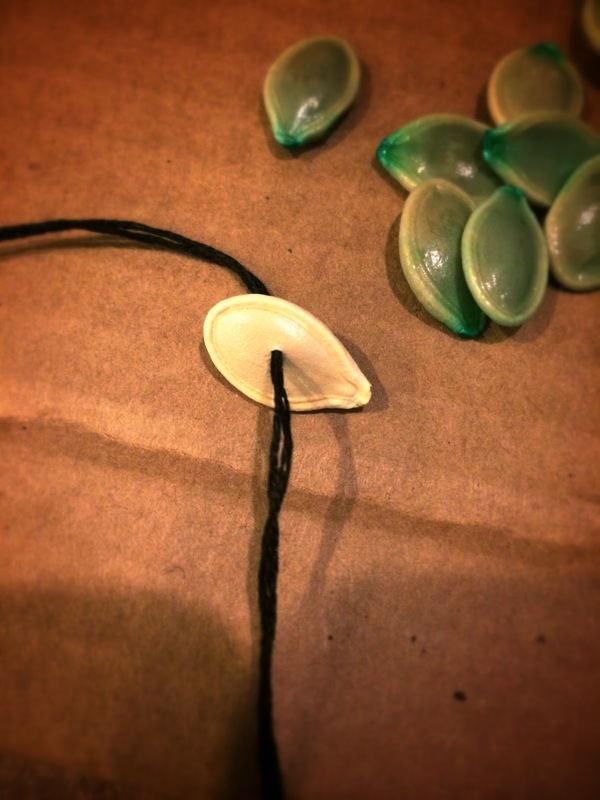 Using the needle and thread (or dental floss), string the seeds on one at a time. If the seeds are a little tough, you can lay them flat on cardboard and push the needle through. 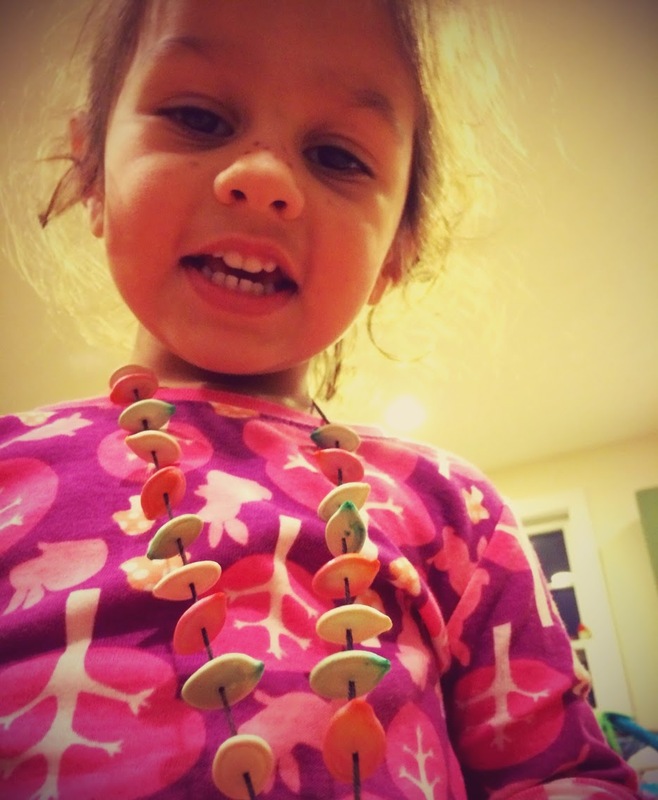 This is a great time to talk to your kids about patterns! 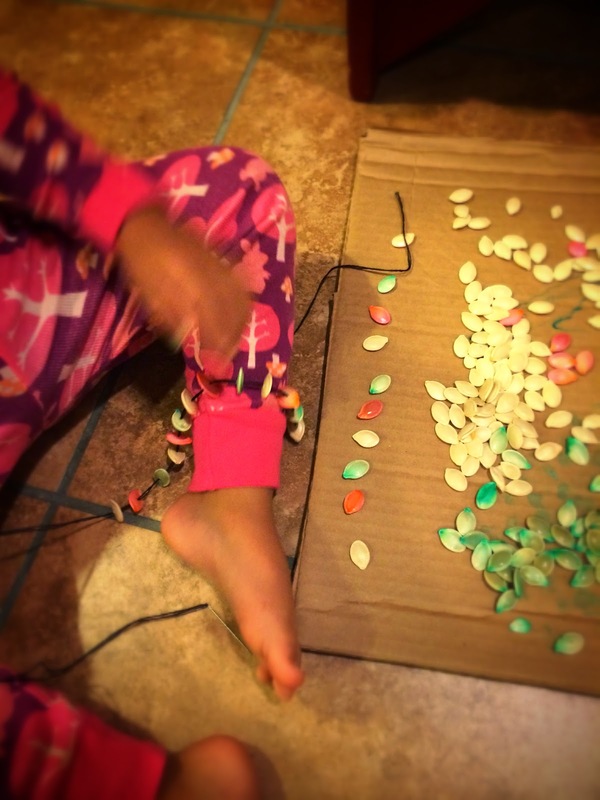 Have your little ones pick out seeds and lay them in order to help you string. 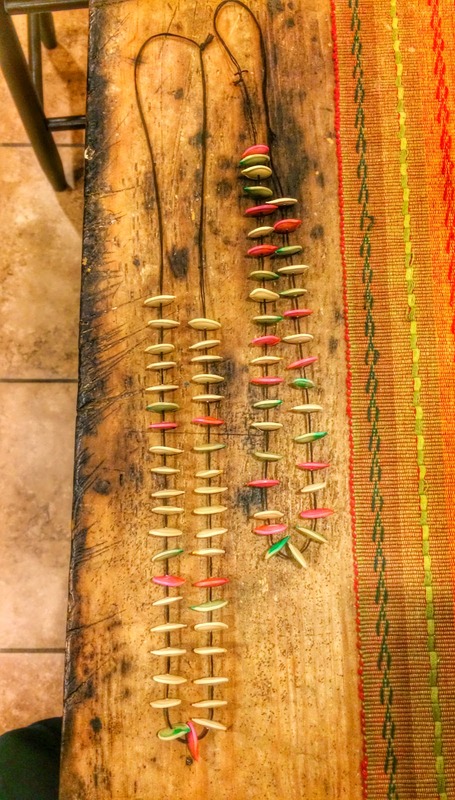 When you're finished threading seeds, tie the ends in a knot or two to complete! Enjoy!